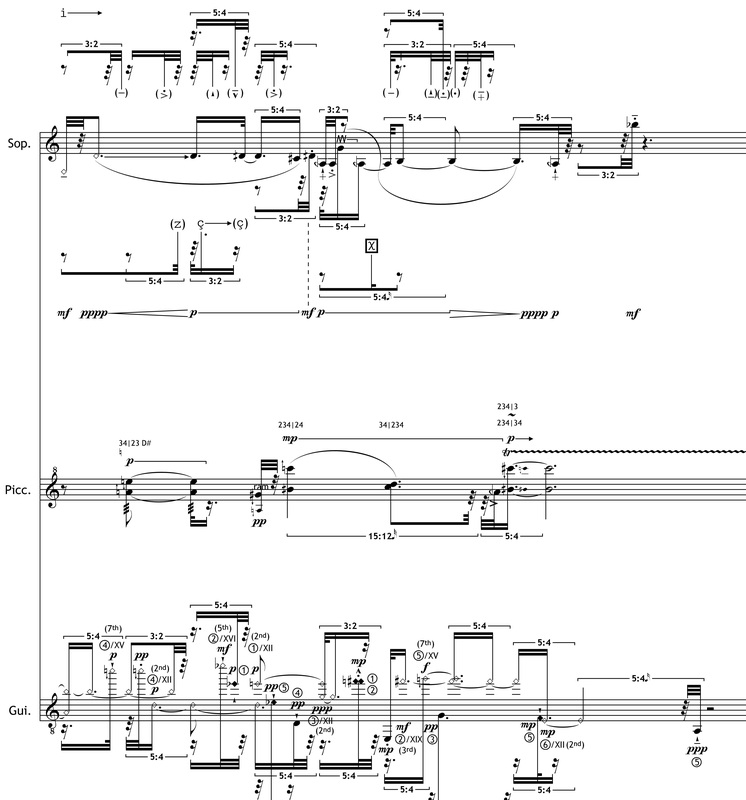 Performed by Amanda Deboer Bartlett, Shanna Gutiérrez, and Jesse Langen at Tulane University (New Orleans, LA) on April 11, 2014 as part of ANODE 2014. Premiered by Dal Niente at the Empty Bottle (Chicago, USA) on May 22, 2013 as part of their Unfamiliar Music series. The following influenced my thinking while composing For the Sake of Opacity (A Catalyst for Honesty): issues of my musical surface raised during the 2012 Harvard Composition Summer Course, Riemann mathematics and its associated formulas, Trevor Bača’s comment on the possibility of parametricizing the amount of “sweat” expended when rendering musical material, the use of paneling in experimental graphic novels (Gaiman, Moore, etc), close-ups of Gerhard Richter’s Cage paintings and Robert Storr’s accompanying comment that “Only dead paintings are executed. Living ones come into being,” Amanda DeBoer Bartlett’s statement in conversation that composers often desire vocalists to be instruments (to everyone’s detriment), and the idea that creating art can be a catalyst for a radical degree of honesty. This piece was written for Amanda DeBoer Bartlett, Shanna Gutiérrez, and Jesse Langen at Jesse’s request. I am deeply grateful for their effort, investment, willingness, and friendship. An additional debt is owed to the faculty and attendees of the 2012 Harvard Composition Summer Course: our discussions together have made a lasting impression on me. For the Sake of Opacity (A Catalyst for Honesty) may be performed independently or along with For the Sake and the Spite of Continuity to form Postscript.